• Magic Red Casino Review - Is The Magic Enough To Save It? Magic Red Casino has been around for a few years without ever threatening to become a big noise in the casino world. The site is run by Aspire Global International, which is the group behind a number of other online casinos including Mr Play, Luckland and Regent Casino. Magic Red is rather underwhelming when you first open the page, as the design of the site is pretty ordinary. Certainly it didn’t generate more than a weary shrug of the shoulders from our Casino Gorilla reviewer. 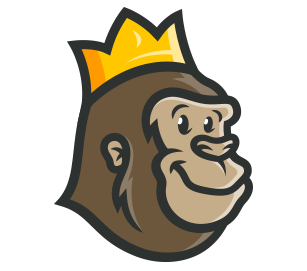 However, the big hairy ape is not one to judge a book by its cover – after all, looking at the Gorilla you wouldn’t imagine he was one of the world’s leading online casino experts. Let’s see what he discovered when he carried out an inspection of this site. Magic Red are not trying to wow anybody with an outrageously big welcome bonus – or if they are, they are not succeeding. Here you will earn a 100% matching deposit bonus of up to £50 along with 20 free spins. You can get another 80 spins if you make a second and third deposit of at least £20, and these can be wagered on a selection of NetEnt games. Your second bonus will also be matched by 50% up to £100, while the third will be matched by 25% up to £150. The wagering requirement of 45 times the bonus amount is pretty reasonable, and you can check the status of your wagering in your account page. As soon as you make your first deposit of at least £20 you will get 20 free spins along with your bonus money. The free spins can be used on a selection of NetEnt slot games, and Magic Red will notify you exactly which ones once your bonus spins have been awarded. If you go on to make a second and third deposit you will receive a further 40 spins for each of them, bringing the overall total up to 100 spins. Money won from those spins will have to be wagered 45 times before it can be withdrawn. There is no need to enter a bonus code in order to claim your matching deposit bonus from Magic Red. This bonus will automatically be credited to your account when you make a first deposit of more than £20. If you don’t want that bonus then you would need to contact customer support before playing with any of the money and they will remove it for you. You will find 17 live casino games at Magic Red Casino. This is a reasonable enough number if there are lots of different games, but sadly that is not the case here. 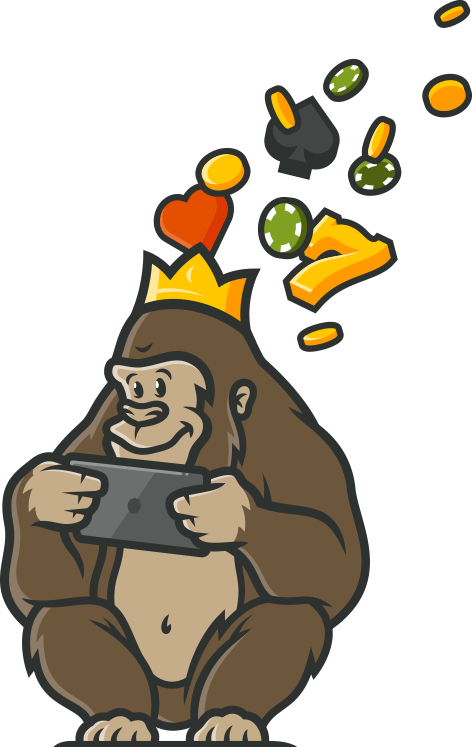 The Casino Gorilla is a big fan – in every sense – of live gaming and was a little disappointed by what is on offer from Magic Red. Of those 17 games, 14 of them are either blackjack or roulette variations. The other three tables consist of two baccarat games and Dream Catcher. No poker games at all in the live casino, which left the Casino Gorilla seeing red but not a whole lot of magic! Mobile players are the future – and indeed the present – of online casino gaming. The mobile version of Magic Red is perfectly functional, allowing players to enjoy their favourite games on the go. Android and Apple users will both be able to use the site without any problems, although it is perhaps not the easiest site to get around on a small screen. Whether you are using desktop or mobile, you will still pick up reward points for playing games at Magic Red, and those reward points will allow you to level up over time. Magic Red is certainly covered when it comes to licences. Not only are they regulated by the trusted British and Maltese authorities, but they also hold a licence from the Swedist Gaming Authority as well. Security is one thing you will not have to worry about here, as they are required to maintain the highest standards of safety so as to hang onto those licences. All games are independently tested to make sure that they are fully functioning and fair. The FAQ section at the Magic Red Casino is certainly pretty big, although it is not necessarily as helpful as you might expect and requires some careful searching to dig out the relevant info. The site is available in English, German, Finnish, Swedish and Norwegian languages, and you can get support in those languages too. On the help page they state that Magic Red is all about C.A.R.E., which means ‘Customers Are Really Everything’, apparently. There is a dedicated phone line and you can also get in touch via email and live chat, but support is not available around the clock. You can get live support between the hours of 8AM and 1AM Central European Time. Strangely enough, Magic Red Casino only lists one country as being excluded according to its terms and conditions: the United States of America. Despite its three licences, the Casino Gorilla is pretty sure that not every other country in the world should be able to play here, but no further info on restricted countries appears in those terms. Magic Red is not the most beautiful online casino out there, and in fact it could probably use a bit of a face-lift. They do have lots of good slots though, which is always a positive, even if the live casino was something of a let-down. The welcome bonus is not very big, certainly not as large as the wagering requirements you need to complete to be able to withdraw it. All in all this is not one of the Casino Gorilla’s favourite casinos, or even close. There is magic in the name of this casino, but not much anywhere else. Magic Red is an average online casino. It has pretty much the same games as many other sites and the bonuses aren’t that great. It’s ok, but would rather play at a site that offers something unique. The live game selection is great. I liked how helpful the customer service was, most of them are usually a drag. A very generous bonus as well, I got a 100% match on my deposit and 10 free spins on my first deposit. I am certain I will be offered more free spins on further deposits. Will definitely come back for more!